This spring we were fortunate enough to secure funding from the Paul Hamlyn Foundation to run a schools project with pupils who are new to English, or have English as an additional language. Through our close work with schools across Leeds and Bradford, we became aware of the growing challenges secondary schools face around integration and engagement of pupils who are new to English. We were keen to explore creative approaches to these challenges, and deliver these in several schools across the region. We’re working with four partner schools through the project; Bishop Young Church of England Academy and The Cooperative Academy of Leeds in Leeds, and Appleton Academy and Dixon Kings Academy in Bradford. 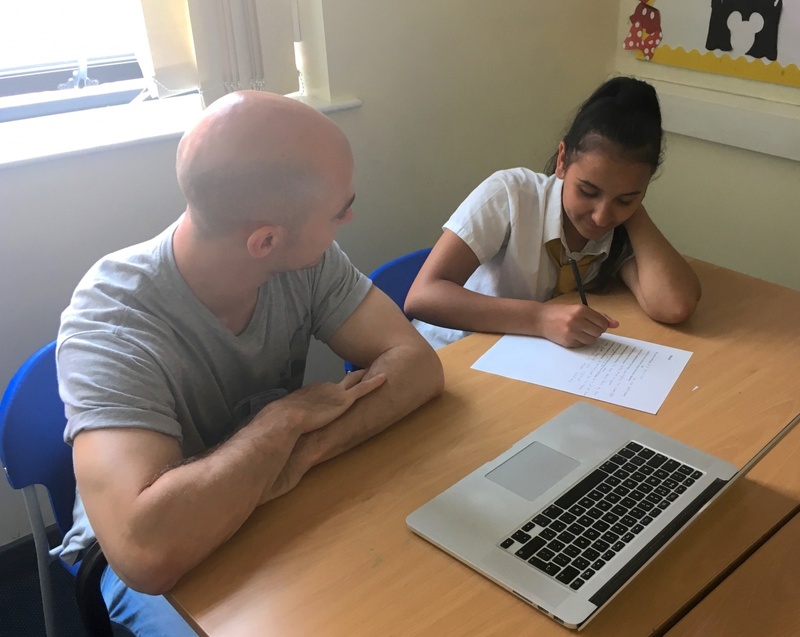 Through a series of 8 sessions, each group will work with poet Andy Craven Griffiths, writer Kamal Kaan and artist Alison Smith, engaging in creative writing and digital animation activities which aim to increase the pupils’ engagement and confidence with English. Summer term saw the delivery of the first half of these sessions in all four schools. The 60 pupils involved were able to try out several creative writing techniques to develop their own poems, which were chosen as they don’t require too many technical language skills, instead allowing participants to play with words. 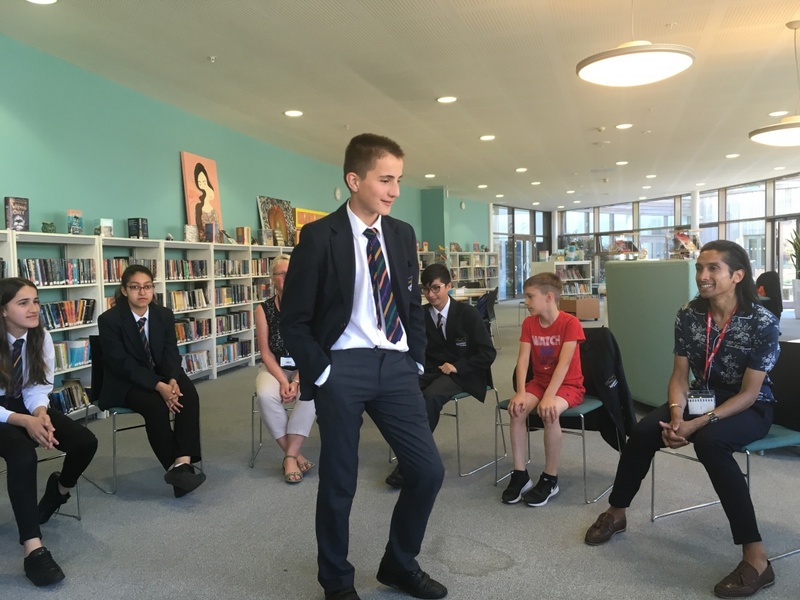 The pupils are working with the themes of identity and transition, and took part in activities exploring journeys, treasured objects and list poems that explore their own identity and experiences. After playing around with these techniques the pupils have chosen their favourite poem to develop. In the autumn term the pupils will turn these poems into videos, developing visuals and storyboards and using iPads and digital storytelling software to record their poems, and create animitions to accompany them. So far the sessions have been really successful, with pupils creating fantastic work that spans a huge range of subject matter. The young people from across the four schools represent a huge range of cultural backgrounds. Some have recently arrived in the UK from countries including Romania, Albania, Syria and Eritrea. Others were born here, but speak another language at home and face some challenges reading and writing in English. The themes the groups are exploring and the techniques used so far have produced a rich, diverse collection of voices, which we can’t wait to see come to life through their animations. The project will culminate in a sharing event in each school, where the videos created by the groups will be screened to friends, families and teachers. We will also be hosting CPD sessions in each school, inviting teachers from across the region to see the work created through the project and learn about the techniques used in the creative writing and animation activities. 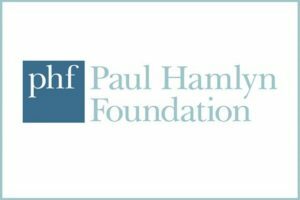 If you would like to stay informed about this project and our other work in schools, you can join this mailing list to receive our Education and Outreach newsletters.